Owning your own home opens the door to many tax opportunities. • If you bought a home last year, you may benefit from a refundable first-time home buyers’ credit of 10% of the purchase price of a new home—up to $8,000. 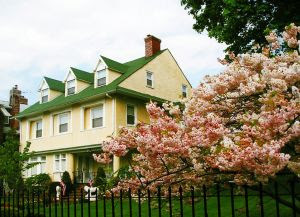 The credit is available for homes purchased before October 1, 2010 and you must have entered into a binding agreement to buy the home before May 1, 2010. You can’t have had an ownership interest in a principal residence during the three years before the purchase. • A refundable repeat home buyers’ credit is available is you entered a contract to buy a home by April 30, 2010 and closed on the sale of the home before October 1, 2010. The credit is 10% of the purchase price with a limit of $6,500. To claim the credit, you have to have owned and used the same home as a principal residence for five straight years within a time period that may go back a maximum of eight years. You also must be at least 18 years old and your home purchase price must be under $800,000. • You can exclude up to $250,000 of gain on the sale of your home (up to $500,000 for joint filers) if you have owned and lived in the home as your principal residence for two out of the five years prior to the sale, although a partial exclusion may be available for sales due to a change of employment, health, or unforeseen circumstances. The periods of ownership and occupancy do not have to be identical. • You can take the interest on your mortgage indebtedness of up to $1 million as an itemized deduction. The interest can be on your principal residence and one additional residence. • For ordinary income purposes, up to $100,000 in home-equity loan interest can also be deducted. In regards to the alternative minimum tax, interest on home-equity loans is deductible only if the loan is used to acquire, build, or substantially improve a home. • The points you paid on a mortgage loan you used to buy or improve your principal residence are deductible in the year you paid them, as long as the points represent a customary practice in your area. Points paid on a refinancing loan must be deducted over the term of the loan. • Through 2010, you can deduct mortgage insurance premiums as mortgage interest. However, the mortgage insurance had to be originally acquired on or after January 1, 2007. • You can take the state and local property taxes you pay as an itemized deduction. An option to take up to $500 ($1,000 for joint filers) as an additional standard deduction for real estate taxes expired at the end of 2009 and is not available for 2010. • If you rented your home for fewer than 15 days during the year, you don’t have to include that rental income in your gross income, but you can’t deduct any expenses related to the rental either. • If your lender forgave your mortgage debt of up to $2 million on your principal residence, as in a write-down or foreclosure, the transaction won’t be treated as “cancellation of debt income.” This special relief is temporary and is available for six years, retroactively for taxpayers filing amended returns, from January 1, 2007 through the end of 2011. • If you own a home and installed qualifying energy-efficient fixtures or systems by December 31, 2010, you may claim a 30% tax credit—up to a maximum of $1,500 for both the 2009 and 2010 tax years. The American Recovery and Reinvestment Act of 2009 created energy tax credits for installing insulation, energy-efficient exterior windows or doors, heat pumps, furnaces, central air conditioners, or water pumps. • A separate 30% credit is available to home owners who installed alternative energy equipment such as fuel cells, solar water heaters, solar electric equipment, small wind energy projects, or geothermal heat pumps. Although the tax credit is more likely to apply for businesses, it’s also available for home owners. Get Your Lexington Home Ready to Sell with These 10 Tips! Now that spring is officially here, and the weather is beginning to warm up; you may be considering selling your Lexington MA home. While you may love living in Lexington, things such as a job transfer or other extenuating circumstances may be causing you to need to sell your home. Or, you may just want to “move-up” to your dream home in Lexington! Either way, selling your home may seem like an overwhelming process. You may have heard reports of the housing market still leaning in favor of buyers, and while the market is recovering; you will have your work cut out for you in selling your Lexington home. This, however, does not mean it’s impossible! You’ll want to put in a little extra work before placing your home on the market to ensure it stands out from among the competition! Below are ten ways to get your home ready to put on the Lexington Real Estate market! 1. Improve your landscaping- Curb appeal is crucial to a good first impression, so make sure your Lexington home’s lawn is immaculate. Selling your home in the spring means making sure you’ve cleared away any debris that may have collected during the winter months. Add a few potted plants outside when you know your home is going to be shown to potential buyers for a welcoming touch. In the warmer months, mow the lawn, prune the bushes, weed the garden and plant flowers. 2. Clean the outside- A disheveled exterior will make buyers think you've slacked off on interior maintenance as well. Be sure to clean the gutters and pressure wash your home's siding. If you have a porch, make it as welcoming as possible! 3. Make the front door inviting- A fresh coat of paint, especially in a color that contrasts with the home, will make the front door stand out. Replace faded house numbers so Lexington buyers can see them from the curb. 4. Make repairs- In a buyer’s market, you want your home to be in the best condition possible. Lexington buyers know what to expect in a home. Take care of major defects like broken windows or a leaky roof as well as smaller repairs such as a loose hinges on a cabinet or a missing brick from your walkway. Knowing there are things that will need to be fixed when they move in can greatly discourage buyers. 5. Buy a new welcome mat- Let buyers know they're invited into your home. This is a seemingly small thing to do, but an old, dirty welcome mat that has been weathered by the Massachusetts winter, will make buyers wonder what else you’ve overlooked in your home. A fresh mat will show buyers that you pay attention to the smallest details in every aspect of your Lexington home. 6. 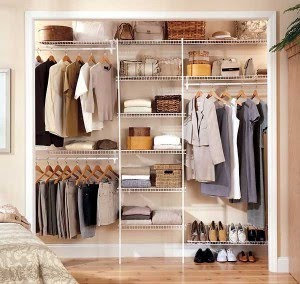 Organize closets and drawers- Messy closets give the appearance that your home doesn't have enough storage space. Having built-in organizers in closets, and even the kitchen pantry, will give the impression that keeping things organized will be a breeze. 7. Remove clutter and depersonalize- Buyers want to envision their belongings in your home. By removing personal photos and items; buyers will be less distracted. If your storage space is limited, perhaps renting a storage unit while your home is on the market is a smart choice. Extra furniture will only make your home appear smaller and more cluttered. 8. Make every surface shine- From ceiling fans to floors and everything in between; clean your home until it shines. 9. Take color down a notch- You might like your bright yellow bedroom, but it may turn those looking to buy a home in Lexington. Paint your walls a neutral color that will appeal to a wide range of buyers. 10. Scrutinize- Go outside and open your front door. Stand there. Do you want to go inside? Does the house welcome you? Take a few minutes to do the following: Linger in the doorway of every single room and imagine how your house will look to a buyer. Examine carefully how furniture is arranged and move pieces if needed, so that the furniture arrangement makes sense. Make sure window coverings hang level. Tune in to the room's statement and its emotional pull. Does it have impact and is it aesthetically pleasing? Be the “buyer” of your own home. Once you’ve gone through this list and have taken the time to really evaluate your home; you’ll find that your home will be in great condition to go on the market! Prepping your Lexington home for sale will help the home selling process go much more smoothly. If you have any questions about these ten tips or about selling your Lexington home; please let me know! As a Lexington Real Estate agent; my goal is to help people navigate through the housing market and ensure their home selling experience is a positive one. Please feel free to contact me today to get started! A Classic Event for all Lexington Ladies This Weekend! Living in Lexington is a well-rounded experience with its vibrant community and historic charm. You’ll find there’s always something to do and a way to take part in its rich heritage! While there are special events all throughout the year; the spring season seems to be the kick off point for the year. Lexington residents appreciate the communities’ commitment to providing fun, educational and unique experiences! This coming Sunday, March 13 from 3-5pm, there is a special event taking place for all of the Lexington ladies! 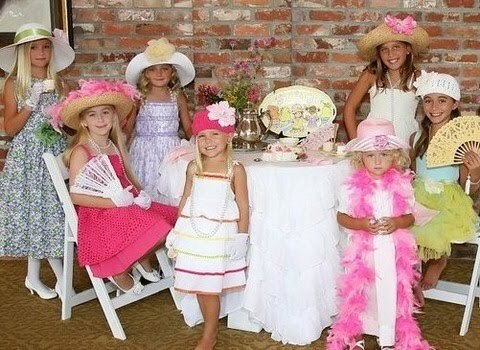 The Lexington Historical Society is hosting the Fabulous Fashions & Elegant Edibles afternoon tea for ladies ages six and up. This lovely afternoon will feature a fashion show of clothes made by local designer Emilia Creations and featuring accessories provided by Crafty Yankee. Modeling these fantastic designs will be Lexington children and adults. This is a great opportunity for mothers and daughters, grandmothers and girlfriends to dress up, gather together and enjoy a simply lady-like afternoon! Decorated tables will enhance the elegant atmosphere while tea, lemonade and savory and sweet finger food will charm your taste buds. Themed baskets for young ladies and the ladies who are young at heart will be raffled off throughout the event which will take place at the Lexington Depot. View more information regarding the Fabulous Fashions & Elegant Edibles event! 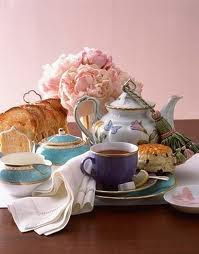 I hope you’re able to enjoy this classic afternoon tea with your girl friends or family! It’s events like this that create the close-knit and community oriented lifestyle that Lexington offers. If you have been looking for a place like Lexington to call “home” please let me know! As a Lexington Real Estate agent; I enjoy helping people discover what makes Lexington so unique. There are many beautiful homes currently on the Lexington Real Estate market that vary in size, style and price; so you’re sure to find one that suites your needs and lifestyle! If you have any questions about buying a home in Lexington or are ready to begin your search; please let me know. I’d be happy to answer your questions and help you through each step of the home buying process. I look forward to hearing from you!